Atheism has become nouveau chic. Just look at the list of celebrities who have added their names to its burgeoning rolls: Woody Allen, Dave Berry, James Cameron, Jodie Foster, Bill Gates, Billy Joel, Barry Manilow, Keanu Reeves. To find your favorite trend-setter, click here. 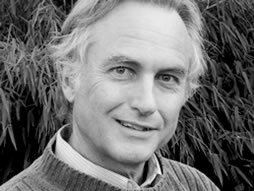 Yesterday, CNN posted an interview with apostle of atheism Richard Dawkins. Yesterday, I spent half the day driving home from Taos, New Mexico after a four-day spiritual retreat. In order to keep myself from falling asleep at the wheel, I decided to listen to some classical music. I know, you probably think “classical music” is spelled “Zzzzzzzzz.” But I’ve played the violin since I was a child, and certain pieces bring back a flood of memories (which helps keep me awake on long drives home). Back in the day, when my fingers were much more limber than they are today, I thoroughly enjoyed playing The Pines of Rome by Ottorino Respighi. Even if you aren’t acquainted with the music, you might recognize it because filmmakers have lifted segments for movie scores on numerous occasions. But driving the desolate roads of southern Colorado, the final movement spoke to my heart. This happens almost every time I listen to it. Somehow, Respighi knew how to build a musical piece to a climax like no composer (contemporary or classical) I’ve ever experienced. His ending builds and builds and builds—to the point that my heart can hardly stand it. But then it builds more. Yesterday, as the music hit its climax, my heart felt like it was about to explode. “Thank you God!” I shouted without even thinking. There was no other way to release the pressure. Suddenly, I felt enveloped in a sense of transcendence. But I’m not alone. 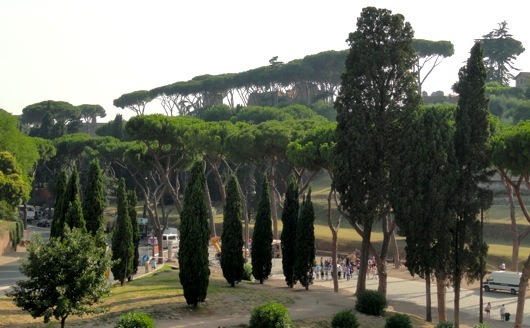 Experts in classical music acknowledge the profound conclusion to The Pines of Rome. How can science explain the transcendence so readily present in music? It can’t. Our hearts yearn for touching God. Is it subjective? Yes. Does that make it any less real or present? Not a bit. Fortunately, even when we don’t believe in God, he still believes in us. What songs or music evoke a sense of transcendence in you? Michael J. Klassen is a freelance writer and co-pastor of The Neighborhood Church in Littleton, Colorado. He still plays his violin on the worship team at church when he isn’t preaching. How Big Is The God of Islam?